Want to see what your invoice will look like before pressing that big green "Send" button? Send yourself a "Test Invoice" by following these steps! After reaching the final confirmation screen, you will see the option to "Send a Test Invoice." This will send a draft copy of the invoice directly to your email just as though you were the client! Head to your email inbox to review the Test Invoice. Looking good? Return to AND CO and you'll find your Invoice saved as a Draft! You'll be all set to send it out. Go ahead and click your Draft to proceed with sending the invoice or making any edits you need to! You can send yourself as many Test Invoices as you need! To activate the invoice and online payment option you will need to send the invoice or mark it as sent. 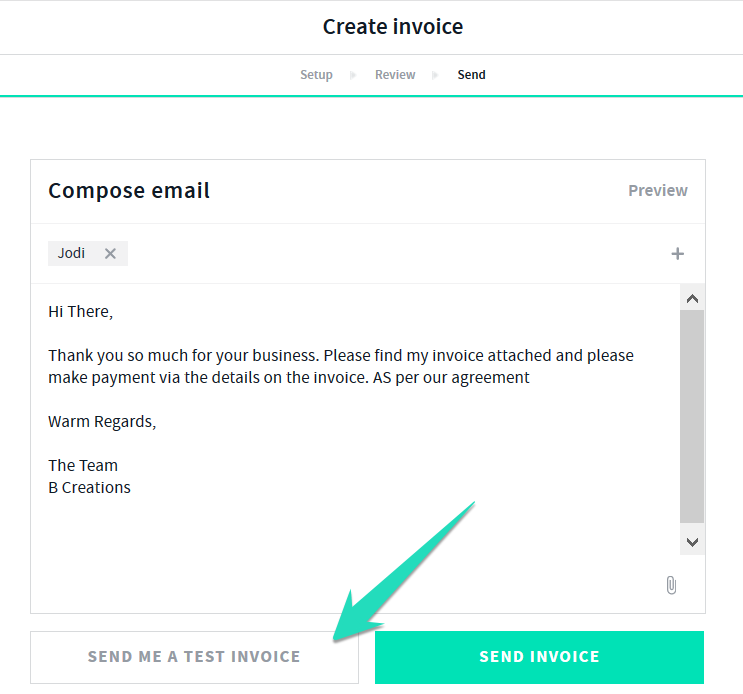 You will not be able to test the Pay Now button as a Test Invoice is saved as a draft invoice and cannot be paid. Clicking this will result in an error.